and combined over 90,000 jumps. Australian Skydive has been operating at Torquay for over 10 Years, with one of the highest safety records in Australian Skydiving history. 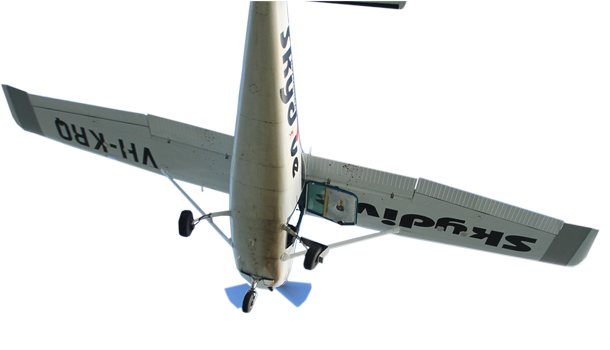 Australian Skydive have a business philosophy of Safety, Service, Honesty and Integrity. We work safely in a manner that protects and promotes the health and well being of all staff and customers. We are open, honest and trustworthy in dealing with customers, suppliers, co-workers and the communities where we have an impact. We employ and develop the best quality staff in Australia. To develop and maintain being on of the safest Skydiving operations in Australia. To provide excellence in customer service and satisfaction, through personal and intimate service. To develop and maintain excellent working relationships with all staff, service providers, safety organisations and airport owners/operators. To employ the most experienced and best quality staff in Australia who have a passion for skydiving. To develop, support and provide ongoing training of staff.